With the market for all types of collector cars running at near-record levels, many collectors have chosen to put their prized cars on the market. And while such sales are often dominated by foreign brands, a high-profile exception will be this 1970 Plymouth Hemi Cuda convertible in California, which Mecum Auctions expects to bring between $2.5 million and $3 million. 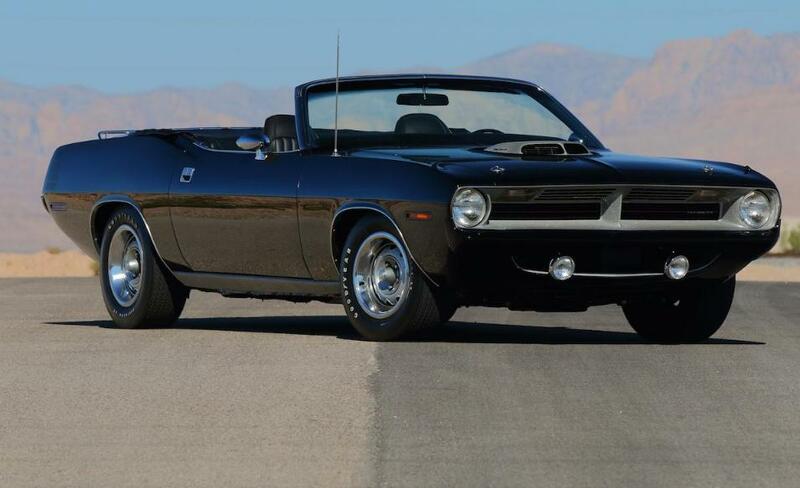 Built as the personal car of John Herlitz, who designed the exterior of the 1970-71 Barracudas at the ripe age of 27, the 425-hp Hemi Cuda convertible is just one of 19 such models built in 1970. While its not quite as rare as the 1971 Hemi Cuda convertible that Mecum sold last year for $3.78 million, it would still count among the most expensive Detroit vehicles ever sold at auction. Yeah, it's not a 1971, but that's why I like it better! I love that '70 front end. I agree that the 70 CUDA front is no.1. I owned a 1970 AAR CUDA new from the factory. Hemi Lover wrote: I agree that the 70 CUDA front is no.1. I owned a 1970 AAR CUDA new from the factory. Owned? You have to wish you still had that baby!